This image depicts the galaxy NGC 4535, in the constellation of Virgo (The Maiden), on a beautiful background full of many distant faint galaxies. Its almost circular appearance shows that we observe it nearly face-on. 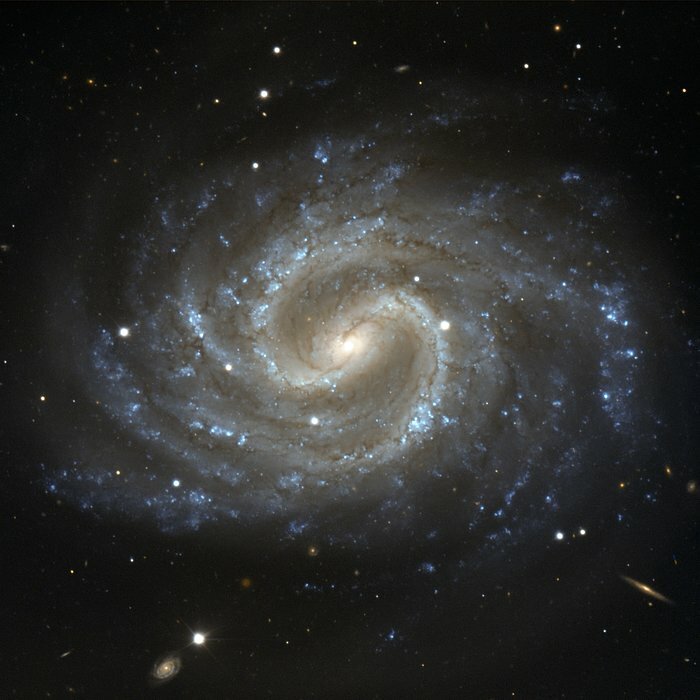 In the centre of the galaxy, there is a well-defined bar structure, with dust lanes that curve sharply before the spiral arms break from the ends of the bar. 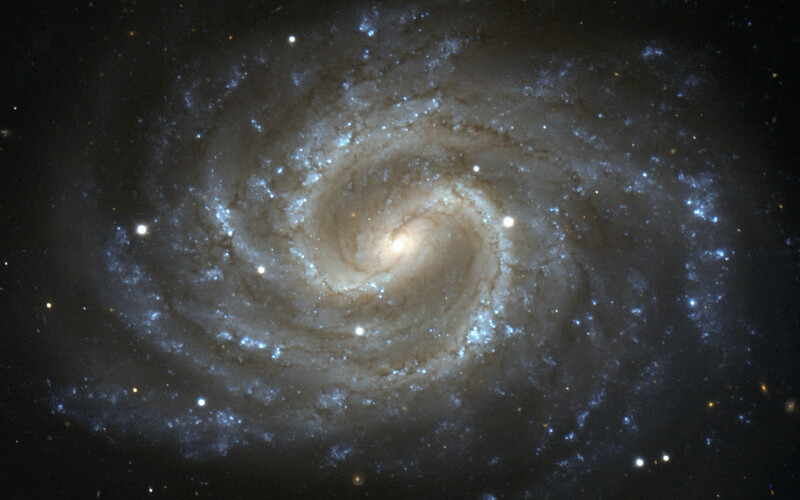 The bluish colour of the spiral arms points to the presence of a large number of hot young stars. In the centre, however, older and cooler stars give the bulge of the galaxy a yellower appearance. 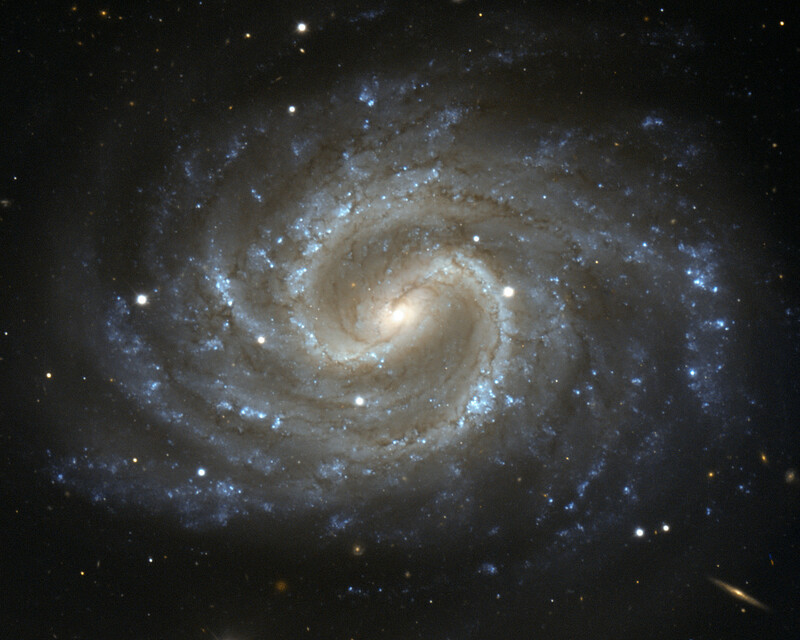 This visible image was made with the FORS1 instrument on ESO’s 8.2-metre Very Large Telescope. 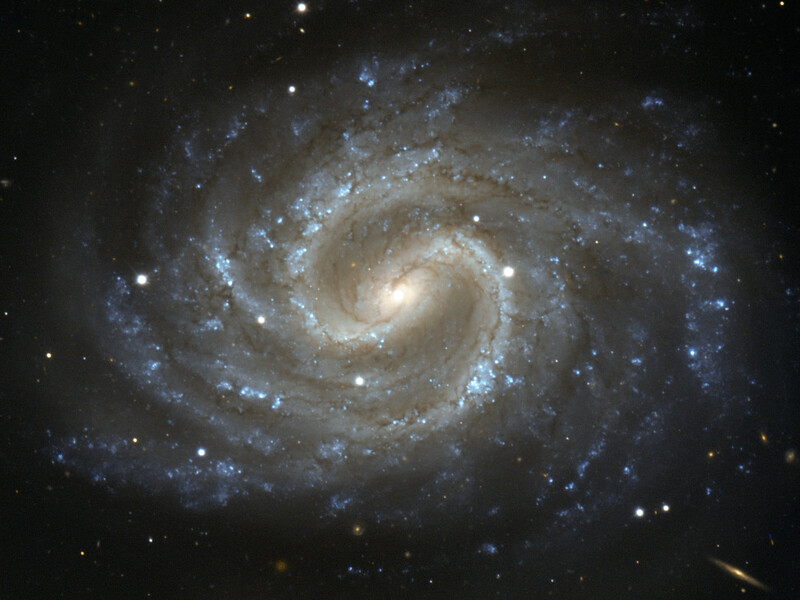 The galaxy can also be seen through smaller amateur telescopes, and was first observed by William Herschel in 1785. When seen through a smaller telescope, NGC 4535 has a hazy, ghostly appearance, which inspired the prominent amateur astronomer Leland S. Copeland to name it “The Lost Galaxy” in the 1950s. NGC 4535 is one of the largest galaxies in the Virgo Cluster, a massive cluster of as many as 2000 galaxies, about 50 million light-years away. Although the Virgo Cluster is not much larger in diameter than the Local Group — the galaxy cluster to which the Milky Way belongs — it contains almost fifty times as many galaxies. Position (Dec): 8° 11' 51.52"